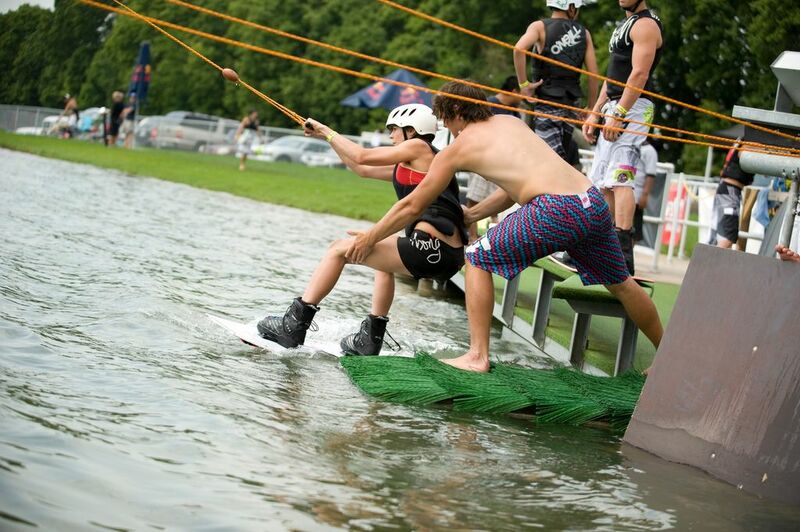 HOUSTON, TX – It’s party-time Sunday, May 20 at Wake Nation Houston as the city’s first and only full-scale cable wakeboarding park near Pearland presents a full day of fun with the Liquid Force “Free For All” event! 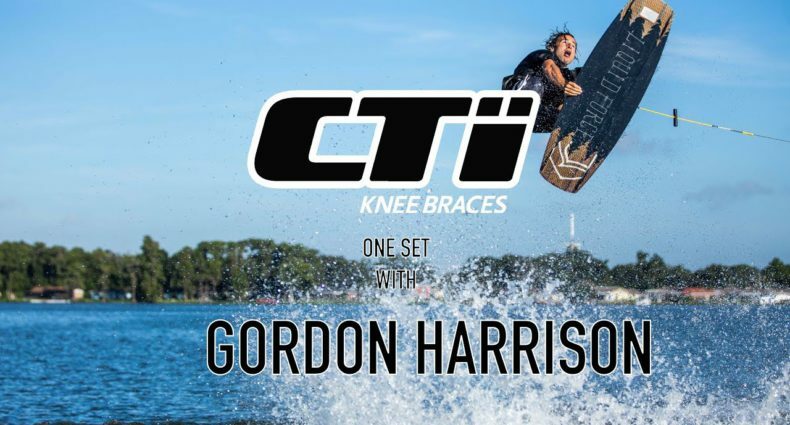 The event will be a day of music, free food, free giveaways, professional wakeboarding demos and free wakeboarding for the public at one of the country’s premier cable parks. Liquid Force, the biggest name in watersports, will be providing the public with free ride passes and free rental gear (wakeboards, life vests and helmets) during the event. Exclusive free ride time on Wake Nation’s 12-acre lake runs from 10 a.m. until 5 p.m.
During the Liquid Force “Free For All” event, the public can “hit the water” for free and try out the latest Liquid Force equipment, while also getting personal tips and pointers from Liquid Force’s professional team riders like Texas’ own Tom Fooshee (a Wake Park World Series champion) and wake skating legend Aaron Reed. In addition to meeting the Liquid Force pros, the public can enjoy great music, free burgers, hotdogs, Monster drinks, and get special prize giveaways like tee-shirts, New Era F4A caps and much more. “The Free For All event is a great opportunity for the public to come out to Wake Nation Houston, learn to ride, meet the top professionals in the sport, and get tons of giveaways…all for free,” said Wake Nation Co-Owner Peter Kennedy. “For those without boards and equipment, there will be new Liquid Force demo boards and life vests available to use.” Sponsors making the special event possible include Monster Energy, Axis Wake Research, New Era, Spy Optic, Sanuk, Frends, GoPro and Transworld WakeBoarding. Wake Nation is located at 4411 County Road 418 in Rosharon, TX south of the Sam Houston Parkway on highway 288. 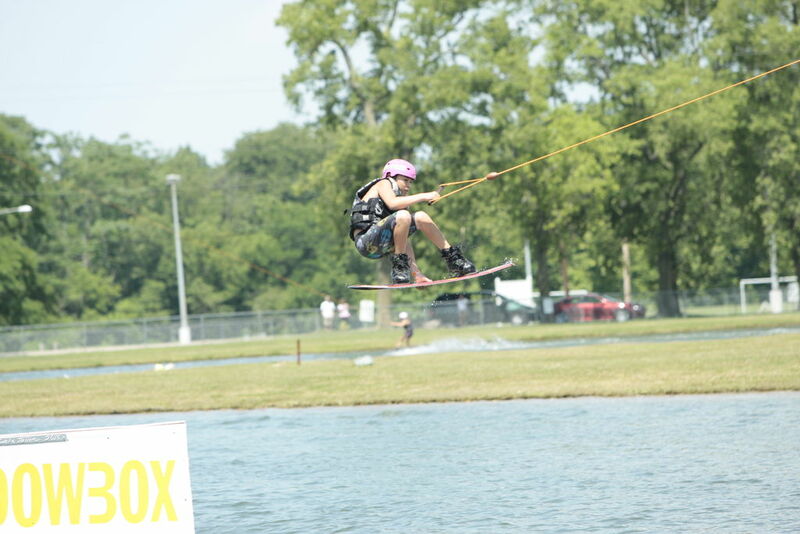 Wake Nation Houston opened last spring to rave reviews from the local community as well as professional wakeboarders worldwide. 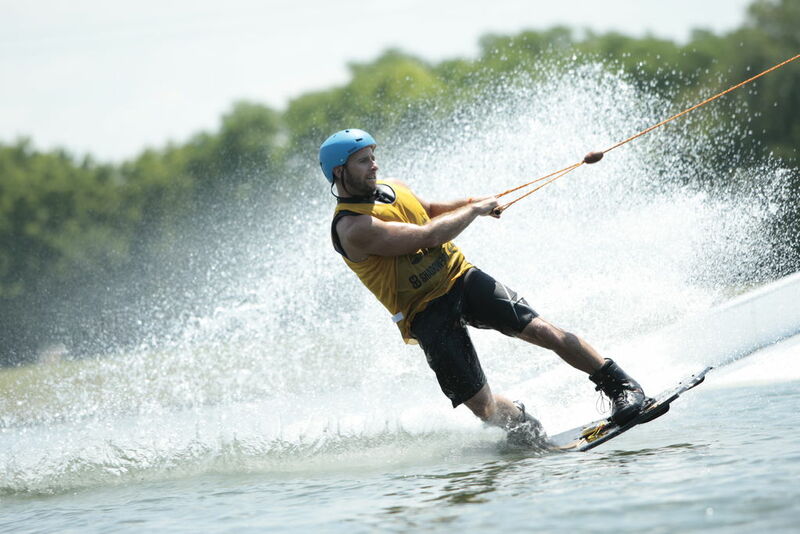 The watersports’ complex features five 35’ high steel towers carrying a unique overhead cable system enabling riders to wakeboard, wake skate, water ski and kneeboard without a boat! Six riders can be on the water at the same time, being pulled around the lake at speeds of 18-20 miles per hour. 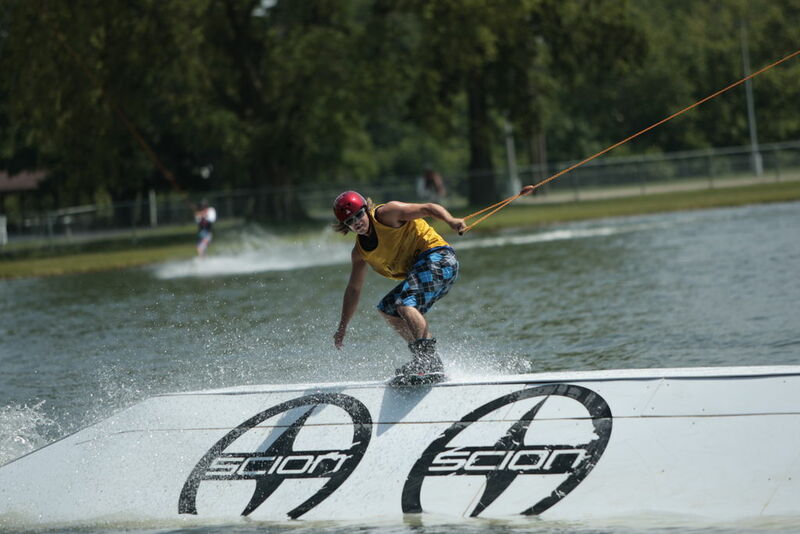 “Wakeboarding at Wake Nation is great for beginners and pros alike,” said Wake Nation Houston Co-Owner Mike Olson. “For more experienced riders, the lake has custom-built jumps, grind rails and sliders. There is also a separate area named the Practice Pond featuring a two-tower ‘easy start’ cable system. 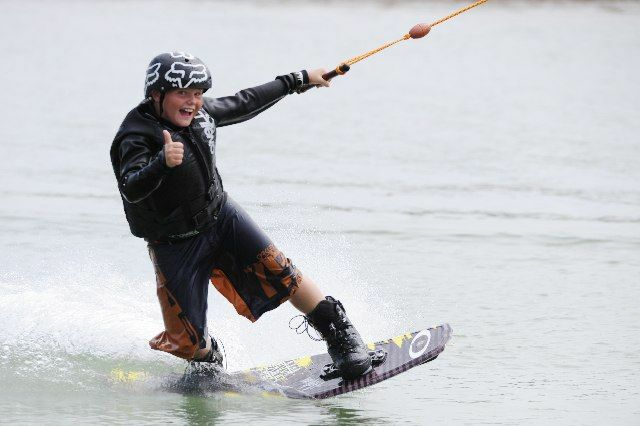 This area is designed to give kids and wakeboarding beginners a place to learn to ride at a slower speed.” All riders must be at least 7 years of age and are required to wear a Coast Guard Approved (CGA) life vest and a helmet (all of which can be rented at Wake Nation). The Wake Nation Houston complex has a full pro shop, equipment rental office and a huge outdoor observation deck offering a beautiful view of the lake and some of the best spectating around. Come on out and join us for this great event at Wake Nation Houston on May 20 and make sure to bring your swim suit! For more information, call (281) 431-4444 or email info@wakenation.com. Website: www.wakenation.com. Facebook: facebook.com/wakenationhouston. We just went there yesterday in Cinncinati and loved it. I'm goofy footed so Cinnci's was perfect, I guess Houston's is set up better for regular. I can't say enough about the staff, very enthusiastic and patient with all riders of any level.